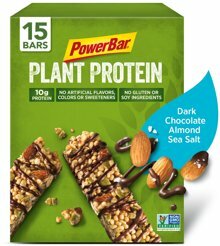 Almonds, Inulin, Cane Syrup (Invert), Dark Chocolate Flavored Coating (Sugar, Palm Kernel Oil, Cocoa Powder, Sunflower Lecithin, Salt), Pea Protein Crisp (Pea Protein Concentrate, Rice Flour, Rice Starch, Calcium Carbonate), Pumpkin Seeds, Almond Butter, Sunflower Lecithin, Natural Flavors, Sea Salt. Cashews, Inulin, Cane Syrup (Invert), Pea Protein Crist (Pea Protein Concentrate, Rice Flour, Rice Starch, Calcium Carbonate), Dark Chocolate Flavored Coating (Sugar Palm Kernel Oil, Cocoa Powder, Sunflower Lecithin, Salt), Rice Protein Crisp (Rice Protein Concentrate, Rice Flour), Pumpkin Seeds, Cashew Butter, Sunflower Lecithin, Sea Salt, Natural Flavors. The greatest victory is a shared one. That's why we've teamed game-changing taste with powerful nutrition in PowerBar PLANT PROTEIN snack bars. 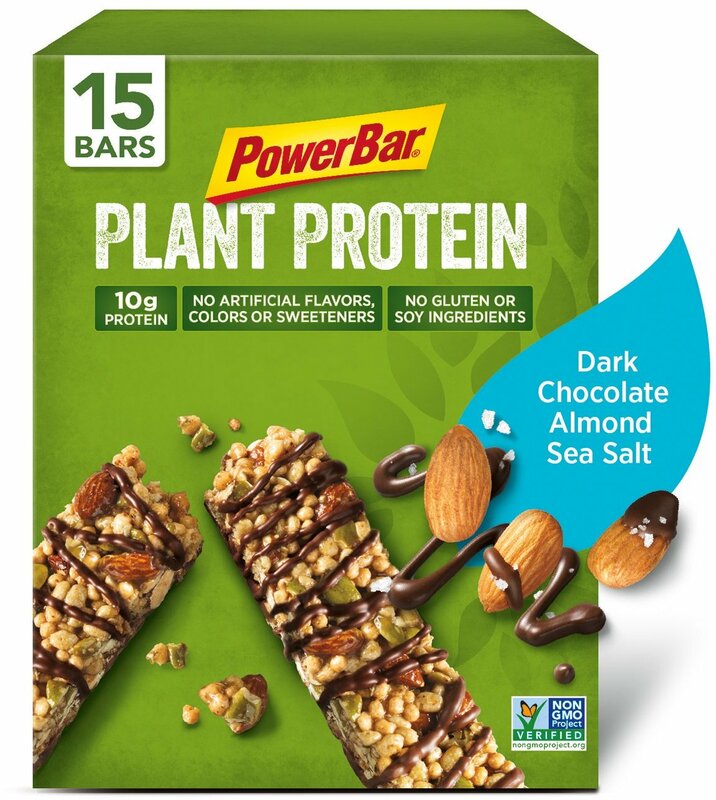 Made with protein from plant-based ingredients and nuts this delicious snack has no artificial flavors, colors, or sweeteners. Available in three amazing flavors, each bar has the energy you need to enjoy every game. -Made with nuts, nut butters and pumpkin seeds. -Made with pea and rice proteins - no soy.